We are focused on YOUR development! Our platform was built for the way you learn - Mobile or Tablet. Resume learning where you last left off. Never lose your place. Your own built-in community. Exchange ideas. Share experiences. Learn from real recruiting experts and hiring leaders! Many of today’s recruiters are offered no formal education or training. While nearly every other field requires certification, education, or extensive prior experience, recruiters are often told to simply “learn by doing,” entering the job with little understanding of what’s expected of them, what to look for, or how the talent acquisition process ties together. Because of this resounding issue, hiring managers and clients have become accustomed to recruiters who are not trained for the job, causing disconnect throughout the lifecycle of finding talent and further perpetuating the problem. These complications arise for novice recruiters as well as those who have been in the industry for 25 years. At The Recruitment Education Institute, we believe there is a baseline of knowledge that recruiters at any experience level should understand and apply. These core strategies, best practices, and processes can be implemented through obtaining a thorough understanding of what it means to be an exceptional recruiter today. To encourage this baseline of recruiter education, we have developed the Recruiter Certification Program. 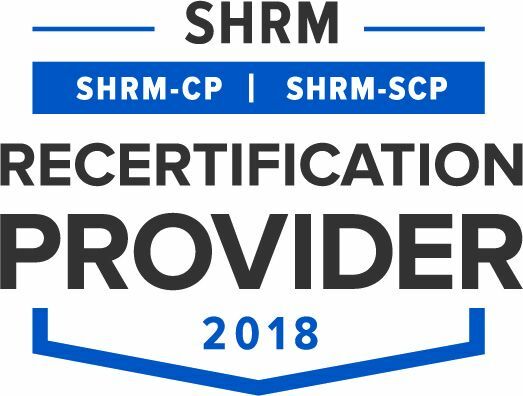 This certification fully prepares recruiters for the changing talent acquisition landscape through a variety of resources including Video Training & Webinars, Whitepapers, Articles, Workshops, Worksheets, Discussions, and In-Person, Customized Training. By gaining familiarity with the latest trends, metrics and behaviors through our certification and resources, recruiters will be able to put more of their focus on candidate and client satisfaction and become known as trusted industry leaders. "I've been through tons of training programs and this was the most well designed. REI delivered lots of content on an easy to use platform." "There is no doubt this training was developed by and for real recruiters. Everything Steve delivered was practical and can be used starting now!" "We need more of this type of education in the recruiting space. Keep adding more topics and material REI - job well done." "I was not experienced with the Recruitment Education Institute . I have now sent 6 of my team through the training."